Do I own the Quality Module (QM) of SAP? Yes! The Quality module has been part of the core system since the 3.0 days. There are no additional software costs, assuming that you have enough user licenses at your company. Can I use SAP Quality Management as my LIMS System? Yes! SAP has been marketing their solution as not just a LIMS (Laboratory Information Management System) but an ELIMS (Enterprise LIMS). You have all of the Quality Assurance and Quality Control functionality needed to efficiently run your lab and perform your tests. Does SAP QM have the ability to capture results off of my test equipment? Yes! SAP can leverage your test equipment’s capability to capture the reading and pass the data directly into SAP QM. 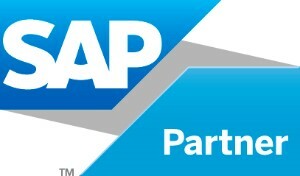 SAP works with both simple devices that are connected to computer via a USB or serial cable, all the way up to the most complex equipment on the network and capture multiple readings at one time. This is a leading practice and trend in the industry so contact us to see how you can leverage this great functionality as well! I know QMS for QM what else does QMS do? While our specialty is SAP QM, we are also very deep in the SAP Manufacturing and Warehousing components as well. Mainly due to the integration of the QM module to these modules, we have deep subject matter expertise in SAP PP/PP-PI, PI-Sheets, MES/PCS integration, SAP IM/WM, Handling Unit Management as well as RF solutions using SAP Console or ITS mobile to name a few. What reporting options does SAP QM offer? SAP has long been known for falling short in the reporting arena. We like to classify reporting into two categories, operational and strategic. SAP handles operational reports very well from a Quality perspective offering many worklists and ALV grids that can leverage to help manage your day to day lab and quality operations. Strategically BW or a host of other tools can be used to give you the decision making power you need to turn data into information to help you identify trends and improvement opportunities in your organization. Can SAP QM handle my environmental testing requirements? Yes! We have a variety of customers that support more than just their product testing requirements using SAP QM. Routine samples can be planned and managed using SAP QM to handle environmental, microbiological, and other regulatory managed tests. In addition, SAP QM provides an interface to leverage information contained in the specification database of the EH&S module to provide for a complete end-to-end solution. How long does it typically take to implement SAP Quality Management (QM)? Good question and unfortunately the answer is it depends. The scope of the implementation, number of sites, and readiness of the master data are usually the leading indicators as to how long an implementation will take. QMS likes to look for quick-hit quick-win areas to allow you to start to realize the ROI sooner. QMS offers assessments and road mapping sessions to help you develop a strategy that will address your pain points first, while quickly leveraging opportunities that might exist. Contact us to discuss one of these sessions and start your journey to a world class Quality organization today! Can SAP QM handle unplanned samples? Yes! In recent years SAP has worked hard on addressing the flexibility labs need to address areas like unplanned samples and NPDI (new product development and introduction). QMS has deployed solutions that allow unplanned samples to be logged and the tests chosen directly by the user at the time of entry. This functionality has allowed us to address areas that have not typically been native to the SAP QM solution. What else can it do? Call us and find out! Does QMS offer training classes for me or my company? Yes! QMS has the most comprehensive knowledge of the SAP QM product in the United States. We are not only familiar with the SAP functionality; we also can speak in business language to help you understand the solution more clearly. We can deliver training classes on all areas of SAP to a small or large group. Contact us to schedule your custom tailored QM training today!